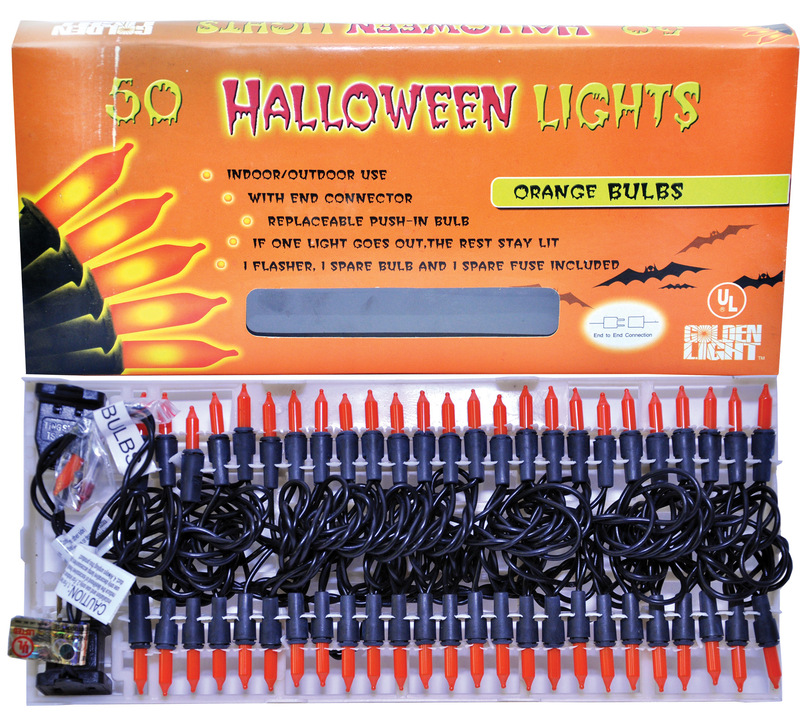 The orange glow color gives a haunted Halloween effect. This is an electric product. UL approved 110 volt. 50 lights per string. Indoor/outdoor use, with end connector. Replaceable push-in bulb. If one light goes out, the rest stay lit. 1 flasher, 1 spare bulb, and 1 spare fuse included. Safety and care instructions included. 2.5 volt bulb, .425 watt.